Practice yoga with me! 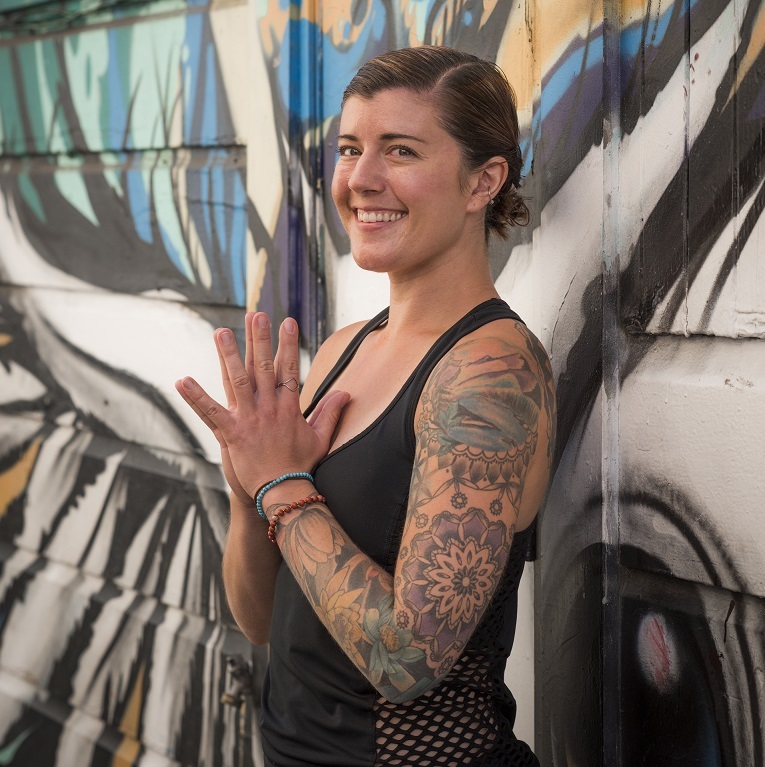 Learn more about local Vinyasa yoga classes and workshops and Reiki offerings. My teaching is inspired by Dharma Yoga, Vinyasa flow in the style of Baron Baptiste, and Bhakti yoga. I am grateful for all my teachers, and so blessed to be on this path. "Your class left me feeling peaceful and zen. I felt like you personalized the class to each person." "Your love & light shines very bright. When I took your class, there was a huge universal connection (on my part to you) and I wanted to express that to you. The yoga community you are in now is very lucky to have you!" "I have had many teachers and I put you on top of the list." "I love the chanting and your drumming. You are a natural at teaching yoga. I like the way your class is challenging yet also very relaxing and I always feel a great sense of peace at the end of class." "You bring peace and serenity to every class, and you make the time we spend on the mat an amazing experience. I instantly felt comfortable in your class, and was grateful for your calm and soothing voice throughout the practice. I felt encouraged. You have changed my life!" "You have a gift in allowing everyone in your class to feel proud and grounded." "My experience of working with Rachel has been absolutely wonderful. She is a great communicator and I always trusted her to deliver a memorable and informative experience to anyone who walked in the door, whether they were taking class or just gathering information about the studio. Over time, her presence was felt and known. Rachel is a kind and impactful human being!" "The blog name Alive in the Fire is perfect for you… You are so ALIVE and doing the work called life! I admire your openness and honesty about your yoga journey. You navigate the ups and down we all face within it, using wisdom that comes with a dedicated practice toguide your way. Dedicated. You live in an authentic way, and teach from that place, sharing the joy that the practice has brought to you. You are warm and welcoming, unpretentious in your teaching style and students adore you for that." I am a certified and insured yoga teacher, personal trainer, and Reiki healer. I also have current CPR training. I completed my Yoga Alliance 200-hour vinyasa yoga certification through Leap Yoga in Folsom, CA in January 2013. I completed my International Sports Sciences Association (ISSA) certified fitness trainer credential in May 2017. I completed my Master-level Usui Reiki healer class with Judy Rury in January 2014. Always feel free to contact me if you are interested in doing a private yoga class, personal training session, or Reiki healing, either in-person or virtually!